Try Tag Rugby is returning to Clarence Park in Wakefield this summer and in the build up we are running a Free Taster Session. 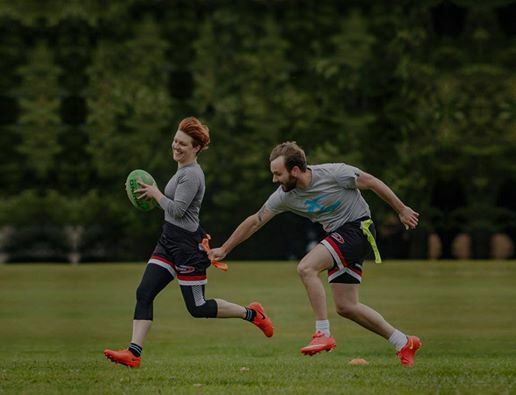 If you'd like to Try Tag Rugby before committing to a league, then why not register for our Free Taster Session and give it a try! This session is totally free and although we are sure you will love it, there is no obligation to sign up for a league if you decide it’s not for you. It doesn't matter what your sporting ability is. If you're a beginner we can help you learn. If you've played years of Rugby that is fine too, you can try Tag out and then look to join a higher standard league. If you are worried about your fitness, don't be. A taster session is a gentle introduction to the game and suitable for all levels of fitness. All sessions finish by heading to a nearby pub so you can get to know the group better over a drink or bite to eat. We hope you can join us at Clarence Park on 15th April or at one of our other Free Taster Sessions.